We decided to put it to public vote and see who you thought were the top 10 mobsters of all time. We had nearly 200 votes in which everyone could pick 10 mobsters from our hit list. 1. He restructured the Mafia after planning the assassinations of Sal Maranzano and Joe Masseria, bosses of the mustache Pete era of the Mafia. Lucky implemented fundamental changes to how the mob was run, creating a business approach to organized crime and putting an end to bloodshed which drew the attention of law officials. 2. He setup the Commission to act as governing body for organized crime on a nationwide scale which took the mob to a new level, he also split New York into Five Families. 3. Lucky also offered to help in the war effort during World War II by using his criminal connections in Italy to advance the Allies’ cause. 1. Carlo earned the family over $500,000,000 a year, gave the nod for many contracted hits, ran the family with an iron fist for over 20 years. 2. In 50 years of crime he served only 22 months in prison (1937–38). 3. He was low-profile, but a ruthless mob boss who came up through the ranks from the early inception of the Commission. During his reign he never had an attempt made on his life. 1. 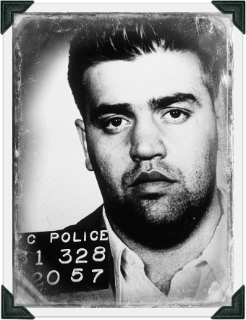 He started off life as a down and out kid who rose to lead what is today known as the Genovese Crime Family. 2. Frank had many connections in the political arena which helped his influence in the underworld. By the 1940’s he had virtually taken control of New York politics through his connections in the Democratic Part at Tammany Hall. 3. Despite nearly being killed in a 1957 power move attempt by Vito Genovese, Frank always preferred to swap the gun for a handshake in many of his business dealings. 1. Despite being of a Jewish background in an era where Italian-Americans ran the mob, his admirable knowledge of business and finances made him a key figure in helping to strengthen the mob. 2. 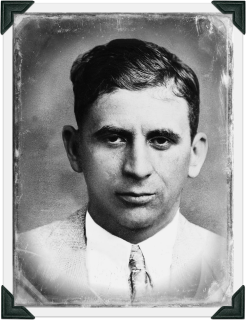 Between 1932 and 1934 Lansky joined Luciano and Johnny Torrio, among others, in forming the national crime syndicate and became one of its major overseers and bankers, often laundering funds through foreign accounts. 3. By 1970 it is said that the total holdings for Meyer were estimated to be at $300,000,000. 1. Accardo controlled one family that spanned across the whole of Chicago, where New York was split into five families. 2. From 1906 until his death in 1992, he only spent one night in jail in a criminal career that spanned 8 incredible decades. 3. 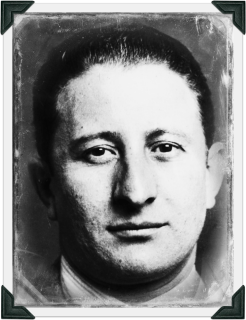 Accardo came to infamy as a hitman for Al Capone and allegedly participated in the Valentine’s Day Massacre, the Frankie Yale hit, and the killing of two Outfit traitors at a dinner table in which he received the name “Joe Batters” from Al Capone due to his skill with a baseball bat. 1. 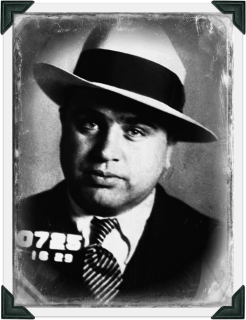 In 1920 during the height of Prohibition, Capone’s multi-million dollar Chicago operation in bootlegging, prostitution and gambling dominated the organized crime scene. 2. Newspapers of the time estimated Capone’s operations generated $100 million in revenue annually. 1. 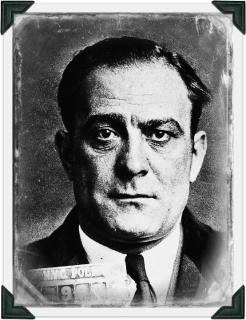 Vito rose to power during Prohibition as one of the mobs best enforcers and would later become leader of his own family, the Genovese Crime Family. 2. 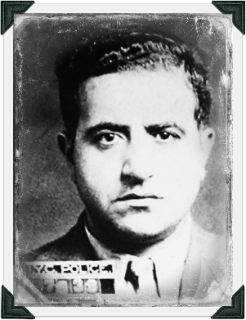 His commanding presence and intimidation would see Genovese take control of the New York area for a period of time in 1957 after he worked with Carlo Gambino to get rid of Lucky Luciano’s allies. 3. In 1937 after being deported to Italy, he became a friend of Benito Mussolini, financing several Fascist operations while engaged in narcotics smuggling to the United States. 1. 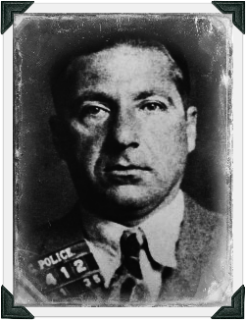 One of the most feared mobsters of all time, who helped run the mobs enforcement arm, Murder Inc with Lepke Buchalter. Due to his violent temper and work as a hitmen he was quickly given the intimidating nickname “The Lord High Executioner”. 2. After the “disappearance” of his boss, Vincent Mangano, Anastasia would go on to lead what would later became known as the Gambino crime family. 3. Anastasia’s brutal murder made headlines, and is still remembered as one of the mob’s most gruesome killings. 1. 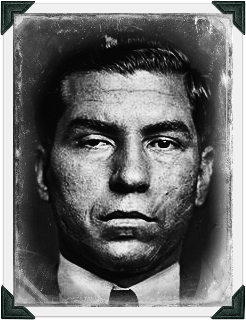 Despite failing to kill Frank Costello in a 1957 plot ordered by Vito Genovese, Gigante still managed to continue his criminal career and would eventually take over the family in the early 1980’s. 2. In order to avoid being prosecuted Gigante faked mental problems for decades to protect him while on trial, often wandering the streets in a bathrobe to which the media dubbed him the Oddfather. 3. A shrewd mob leader, Gigante would demand that when a mobster referred to him that they would point to their chin so not as to be recorded on wiretaps. Chin derived from his mother’s use of the Italian pronunciation of his given name, Vincenzo. 2. It is estimated that, while John Gotti acted as boss, the Gambino family made more than $500 million in revenue from illegal activities such as gambling, drug trafficking, extortion, and stock fraud. 3. 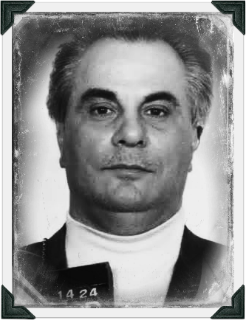 Despite not keeping a low profile like most successful Mafia bosses, Gotti brought the Godfather to life in the public eye and become a local hero. He was the stereo typical mobster who quickly grouped together a large following. Who Just Missed The Top 10?